Bald spots, bare spots, and thin spots make your lawn and your property look uninviting and poorly kept: kids, animals, pests and insects can create havoc with your lawn. Dry spells and harsh weather conditions take their toll. 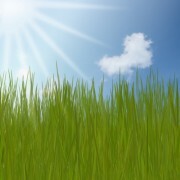 It’s difficult to grow healthy, thick grass in high traffic areas and in shade. Hiring a lawn-repair professional every year is an expensive proposition, and do-it-yourself lawn repair is normally a worrisome job. Hydro Mousse, however, makes it easy for everyone. If you have a hose and know how to water the grass, you can repair your own lawn with a Hydro Mousse kit. Each kit will reseed a 100-foot square area, or 200 spots. The best times to reseed or repair lawn is spring, summer, and fall. Measure the length and the width of the areas to be seeded and multiply the two numbers. For example, an area 10 feet by 10 feet equals 100 square feet. Simply fill the canister with the seeds and formula, attach it to your garden hose, turn on the water, adjust the dial, and spray the area to be reseeded. The green formula allows you to see the area that has been sprayed. Expect the seeds to sprout in 7-14 days and water your lawn with a fine spray three times a day. When the grass is at least 3 inches tall, you can mow it. The formula is unique: it includes a glue-like substance that attaches the seeds to any garden soil and eliminates the problem of losing seeds to birds, or having them washed away when watered. It’s organic, safe for humans and animals. It contains a conditioner to loosen the soil so that it absorbs water more easily. If you get any green liquid on your hands, it can be removed by washing your hands several times, or it will wear off in a few days. If you prefer to eliminate this problem, wear gloves. If the product is splashed on walkways or decorative pieces, it will go away on its own and the grassy areas will also return to normal color in a few days. You can buy refills of formula and seeds and re-use the canister and spray head. Anyone can maintain a terrific looking lawn easily and cheaply by repairing lawn damage with Hydro Mousse. You’ll love it. Why can’t you use this product for over seeding? The mixture will seep through the existing blades of grass and stick to the soil. Thank you for your question. You can use Hydro Mousse for over seeding. It can be difficult to see where you have applied it but if you move evenly and slowly throughout the area being treated it will work just fine. 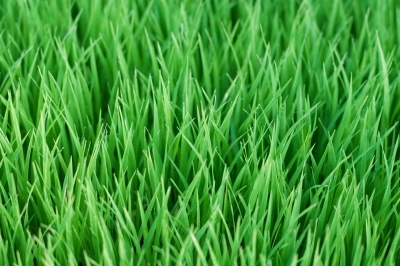 I suggest you mow your grass down a bit so that the seeds can have contact with the soil. Does the green liquid disappear after the spraying is done? Mine did. Hello, yes it is intended to soak into the soil after application. This allows for the ingredients to start working!